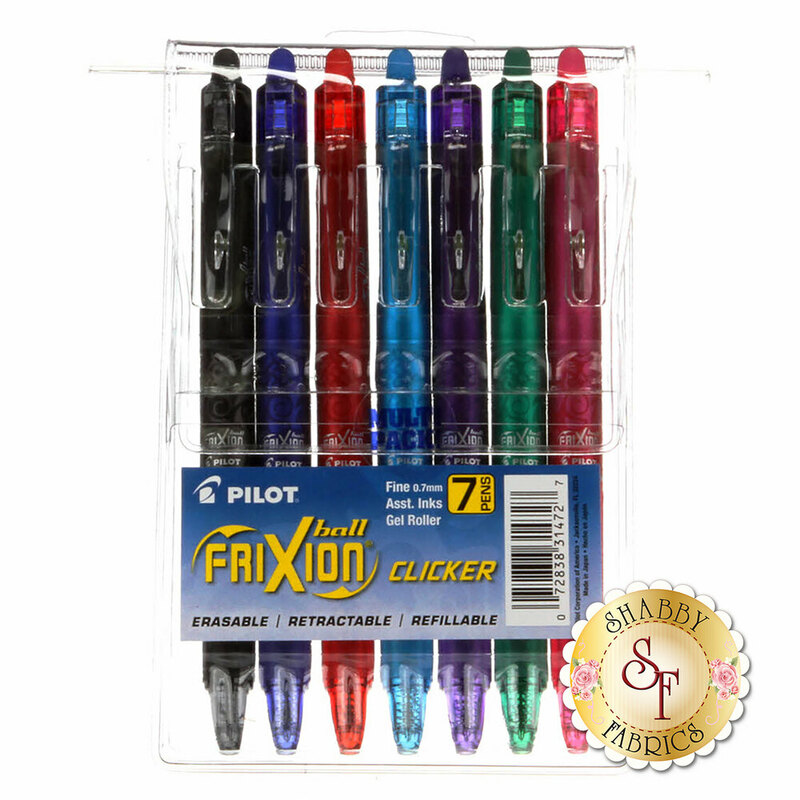 This is a seven pack of Multi Colored Frixion Clicker pens which combines the convenience of a retractable pen with the incredible, erasable FriXion gel ink! Great for marking patterns and lines for embroidery work. Pens are refillable. Fine point 0.7mm. This pack contains one pen of each of the following colors: Black, Blue, Red, Turquoise, Purple, Green and Pink. These pens feature a unique thermo-sensitive gel ink that disappears when you apply heat -- simply iron your fabric after you finish your embroidery and the ink will disappear!